Presentation of the new collection by Zenith. 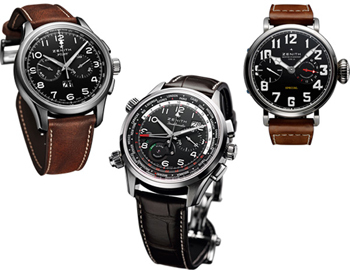 Swiss watch brand Zenith September 17, 2012 officially presented its new collection of Pilot. Decoration evening served Louis Bleriot aircraft, owned the permanent collection of the Museum. Note also that, among the many guests of the presentation, the representative of Zenith – Felix Baumgartner. As part of Red Bull Stratos project he plans to jump out of the capsule from the height of 36.5 km. Felix will be the first man to break the sound barrier in free fall from the edge of space. His faithful friend in flight will watch Zenith El Primero Stratos Flyback Striking 10th.